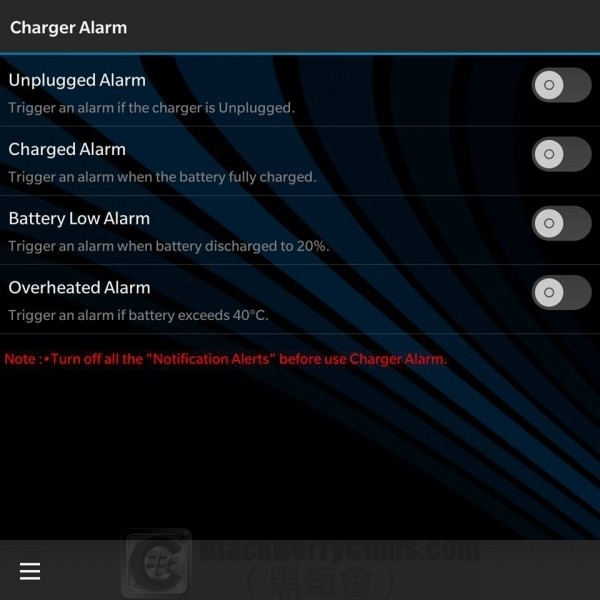 BlackBerryClubs.com (黑莓會) -香港(HK)最大型的BlackBerry黑莓中文專題資訊手機科技網站，提供最新最多最齊的BlackBerry黑莓資訊。 The Hong Kong (HK) #1 Site for #BlackBerry Users. @BlackBerryClubs #BlackBerryElite. 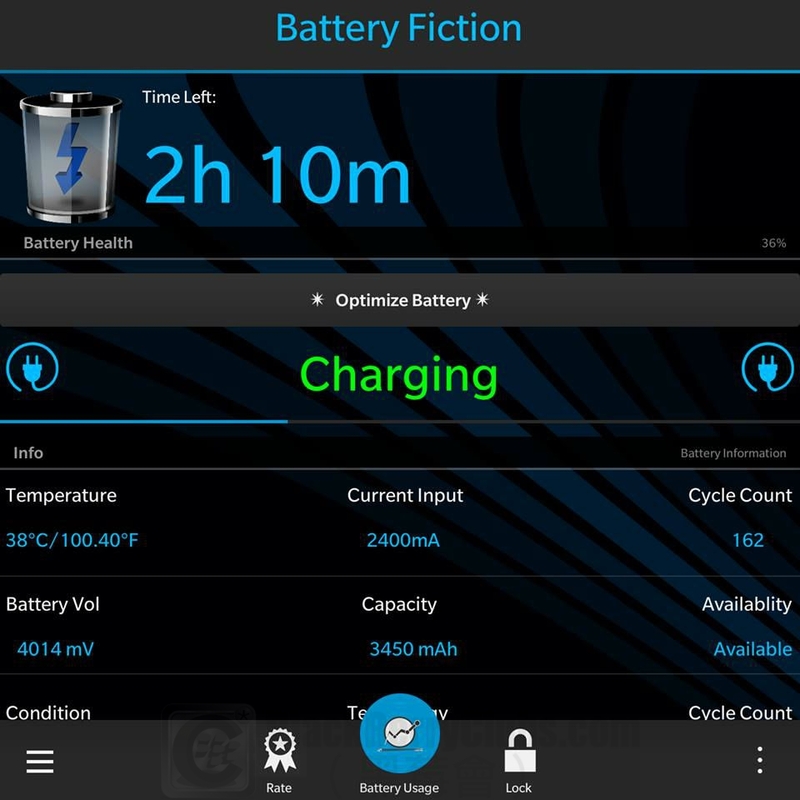 Battery Fiction Pro was designed as a headless application to optimize and manage your battery. It offers several features to boost battery life as well as offer notifications to alert you of various loading conditions so as to maintain the life of the battery. In order to install Battery Fiction Pro, you will need to have Software Release 10.3.0(OS Version 10.3.0) or later. 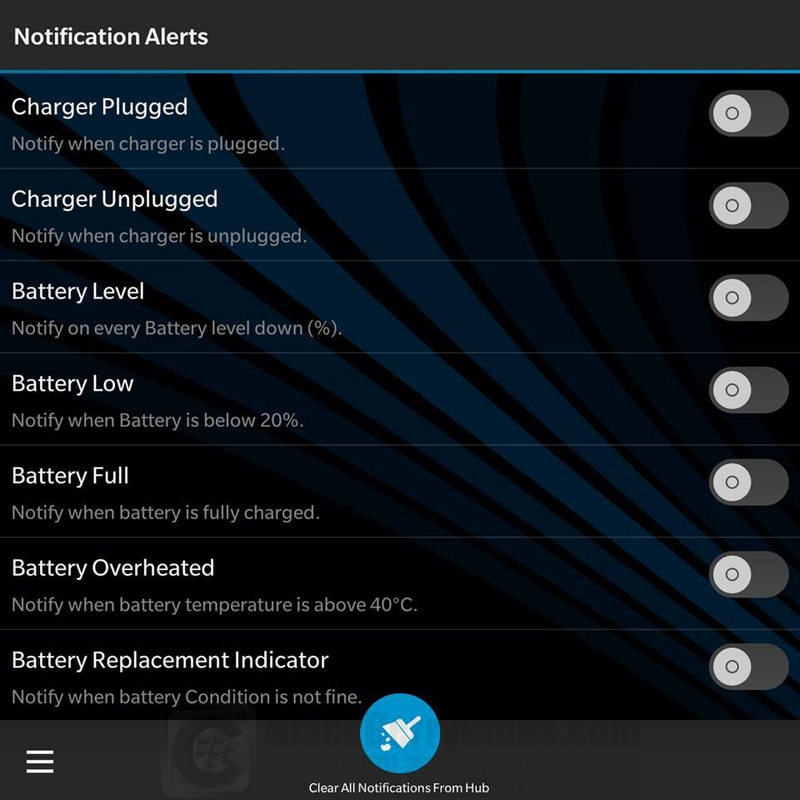 Battery fiction is entirely dedicated optimizer to manage and take care of your battery and probably the best Headless Battery application available on BlackBerry World™. It will boost your battery life, help maintain battery life with intelligent charging technology and alert you in a various loading conditions that need. Optimizes the battery and extends its service life up to 15%. Battery information : *Battery level. *Battery temperature. *Runtime Charger current input in mA. 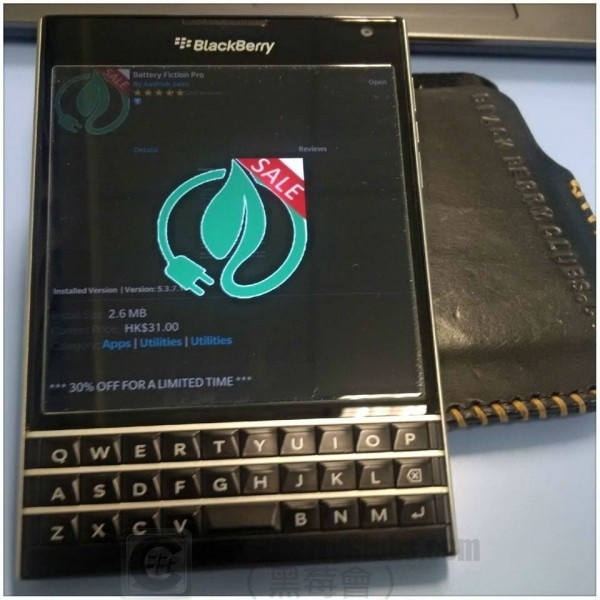 This entry was posted in [ BlackBerryOS10 News ], [ Exclusive News ], [ Hot News ], [ BlackBerryOS10 News ], BB10 Apps News, [ Hot News ], Official News, [ BlackBerryOS10 News ], Porsche Design-Series News, [ BlackBerryOS10 News ], Q-Series News, [ Exclusive News ], Skill Tips, [ BlackBerryOS10 News ], Z-Series News and tagged in Android, App介紹， Battery, BlackBerryOS10, Hong Kong, HongKong, iOS, Windows Phone, 電池.